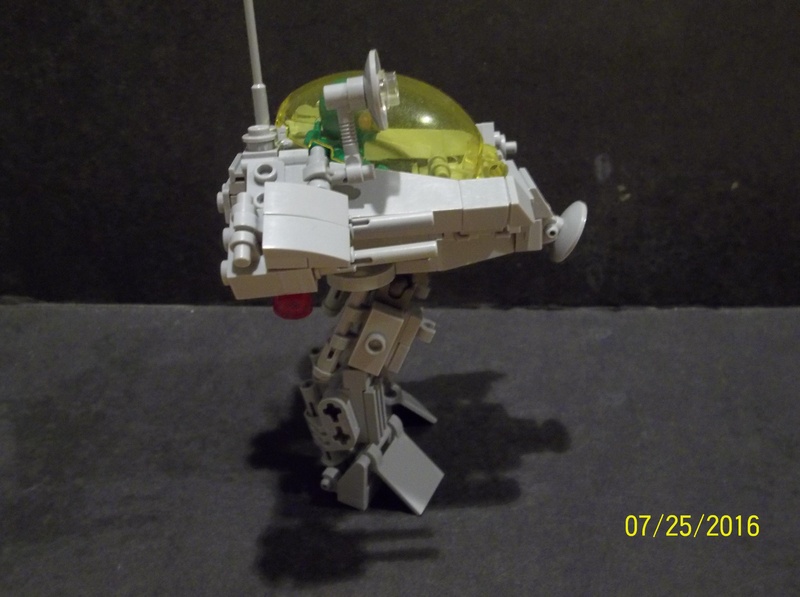 Classic Space meets Battlestar Galactica in microscale. The original 1980s version would probably be more appropriate; this is Classic Space! I started out with the two tiny ships, then built the smaller Galactica-esque ship and decided that it did look very Galactica-like. 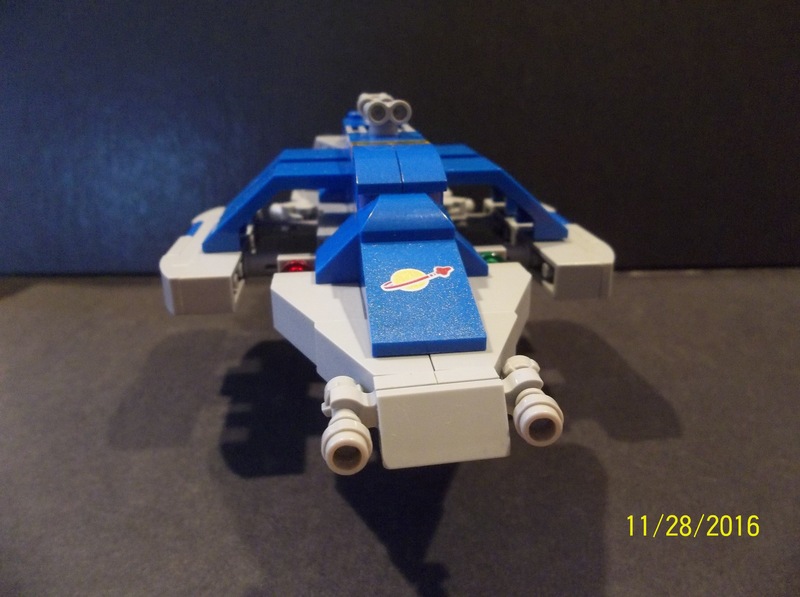 This entry was posted in Lego Classic Space, Lego Space and tagged Battlestar Galactica, Classic Space Lego, Lego, Spaceship on November 29, 2016 by geoffhorswood. The Eos-class is an advanced spatial flyer known for its variable-angle wings, foldable landing gear and agility in transatmospheric operations. Named after the ancient Greek goddess of the dawn, the Eos-class’ wings give the craft utility in atmosphere as well as in vacuum, where the three magnetoplasmadynamic thrusters give it a high speed and excellent responsiveness. 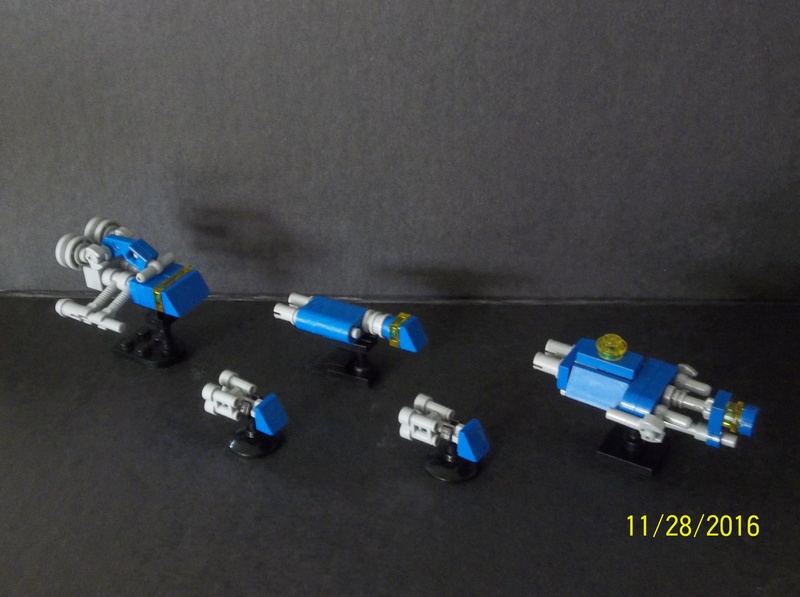 Some versions of the class are unarmed, but the most common version incorporates a quartet of proton cannons for asteroid cleanup and antipiracy work. The Eos is usually employed for scouting duties or as a transatmospheric superiority fighter, where its agility can be maximised to good effect. I think the part of this I’m most pleased with is the folding landing gear. The drop wings are nice, and the cockpit works well with the generally curvy look of it, but the landing gear? Mmm. 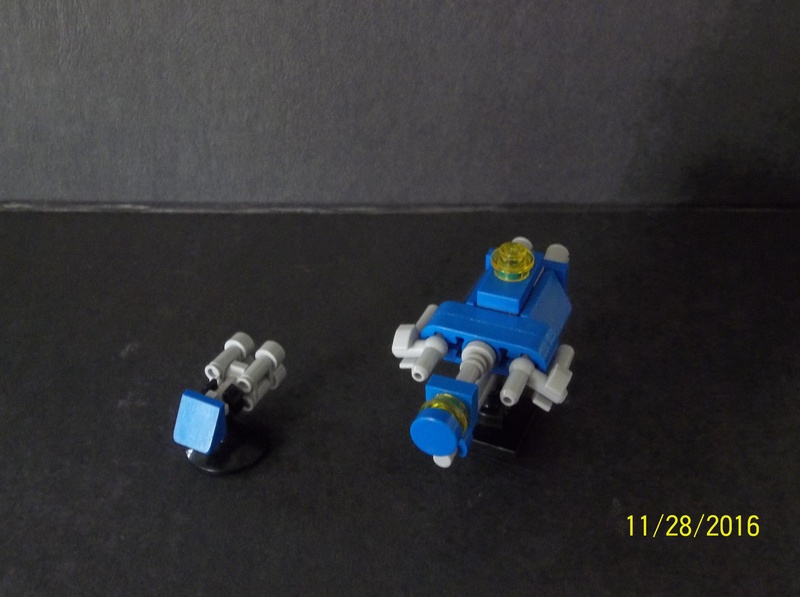 I’m showcasing my new blue Classic Space logo element (I just bought three from Bricklink), so now I can make Classic Space ships with the appropriate emblem. I really ought to get some more trans yellow window elements, but they’re so darned expensive. 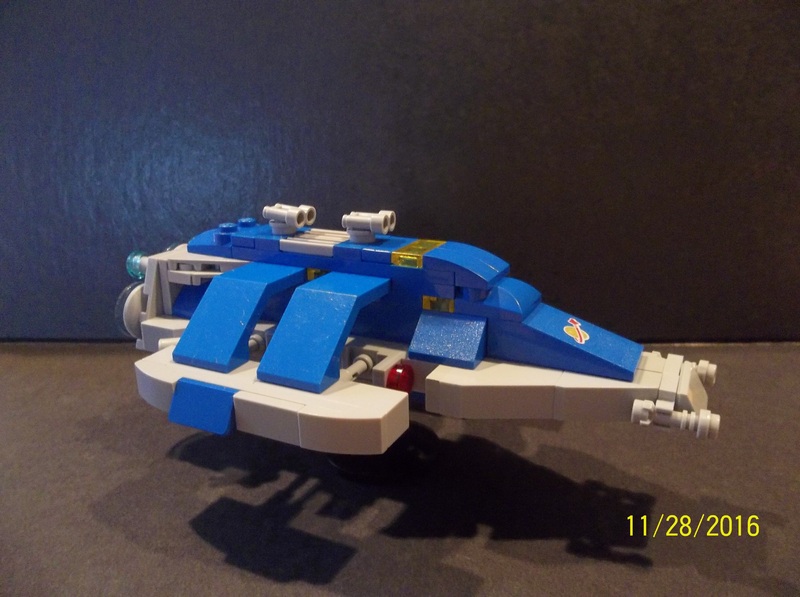 This entry was posted in Lego Classic Space, Lego Space and tagged Classic Space Lego, Lego, Lego building, Spaceship on November 12, 2016 by geoffhorswood. The development of the first wormhole generators by Dr. Abriel Bendix opened the galaxy to humankind for the first time. Some few brave slower-than-light cryoships had departed for other stars with detected planetary systems, but their multiple-thousand-year voyage times and the lack of even real probe data from the destination star meant that the cryoship – an STL vessel in which the crew and colonists undertook the journey in cryogenic suspended animation – was perceived as an act of desperation or foolhardiness. Bendix’ discoveries changed all that. For the first time, humans could bridge the gulf between stars, travelling effectively instantaneously from system to system. The physics of the Bendix wormhole generator meant that short-distance hops required more energy than long-distance jumps, while the longer the jump that was made, the more difficult it was to properly target the exit point. The “sweet spot” between practical energy considerations on one hand and targeting probability cones on the other was initially from about twenty to a hundred light-years. Later increases in energy generation capacity reduced the lower jump radius to approximately 10 light-years, but experience showed the inadvisability of attempting to make a wormhole transit of more than 60 light-years at one time. The main problem with the early Bendix generators was that they were huge, mass-intensive propositions. A Bendix-drive starship was necessarily a massive, kilometers-long behemoth whose sheer inertia gave it a very low acceleration in normal-space. And while it could jump from star to star instantaneously, it was limited to the pre-gravitics thruster systems of the time for getting around at the far end. Out of this set of constraints, the shape and design of the Explorer Ship was born. The Vasco Da Gama (shown here) was typical of the type. Class designations were virtually meaningless with such large vessels that took so long to build; each Explorer ship was effectively its own class. Da Gama was built around a central structural gantry extending fore and aft from the Bendix generator amidships. The rotating habitation ring was constructed around the generator and provided accommodation, hydroponics, recreation and work areas for the crew. The ship’s engine section was located aft. Comprising an array of ten immense nuclear reaction thrusters, plus tanks for reaction mass and other engineering consumables, it was the part of the vessel that allowed the Explorer Ship to move around the star system once it got there. Explorer Ships’ massive inertia made this a slow process, however, and most normal-space exploration was performed by the fleet of LL928- and LL924-series spaceships carried by the Explorers’ aft sections. The main hangars were located top and bottom of the engine section. The forward section could rightly be described as the “business end”. It featured the ship’s long-range and short-range sensors, plus remote probes, microgravity laboratories, zero-gee construction equipment, asteroidal smelters, autonomous fabrication plants and all the other equipment upon which interplanetary human civilisation depends. As big ships and big LDD models go, this one’s on the small end. Big enough that I’d need to do a bunch of shopping on Bricklink before I could build it; small enough that I could possibly have a snail’s chance in a French restaurant of thinking seriously about it. In my world, that’s part of what LDD is for: building all those models that would eat your whole part collection without burping, or which need particular elements you don’t have. I’ve done my best to minimise glaring structural weaknesses, but I suspect that there may be a few, particularly around the joints of the spinal gantry to the various sections. Still, I’d like to think that I’ve done what I could to stop it collapsing under its own weight of plastic if it were a physical model. As far as scale goes, this thing is immense. Big enough that that swarm of tiny craft exiting the back end are supposed to represent LL928 Galaxy Explorers. I like monstrously huge ships; they appeal to my sense of the grandiose. I hope you like this. I’ve enjoyed building it. 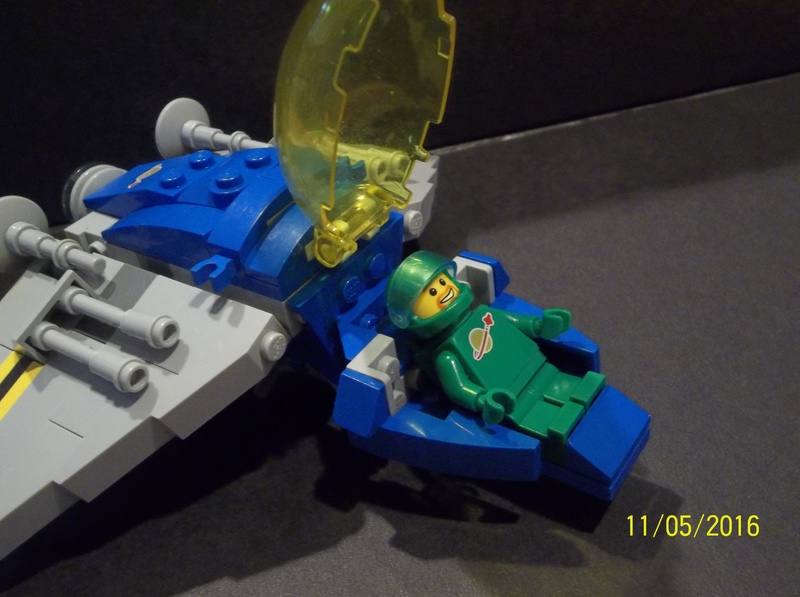 This entry was posted in Lego Classic Space, Lego Space and tagged Classic Space Lego, Lego, Lego Digital Designer, Spaceship on November 6, 2016 by geoffhorswood. 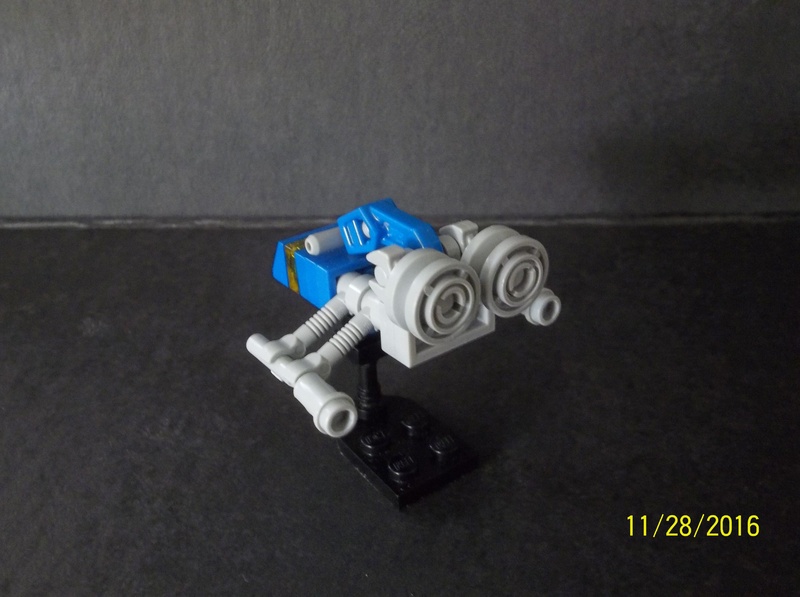 The Ranger-class Exploration Walker is an armed planetary exploration vehicle of the Federation. With gyroscopic stabilisation, a two-legged design and space for a single crewmember in its enclosed, spaceship-like cockpit, the Ranger is the perfect choice for the exploration of planets that have hostile or corrosive atmospheres beyond the limits of what a standard Federation spacesuit can endure. The forward dish antenna is a ground scanning radar unit, which can be set for topographical scan (typical mode) or for ground-penetrating deep scans. The dish antenna mounted beside the cockpit is a similar unit allowing aerial and near-space scans for more combative deployment of the Ranger. At the rear is the primary communications antenna. The Ranger is not very fast by comparison with other Federation walkers, but its robust design gives it a survivability that some of these lack. 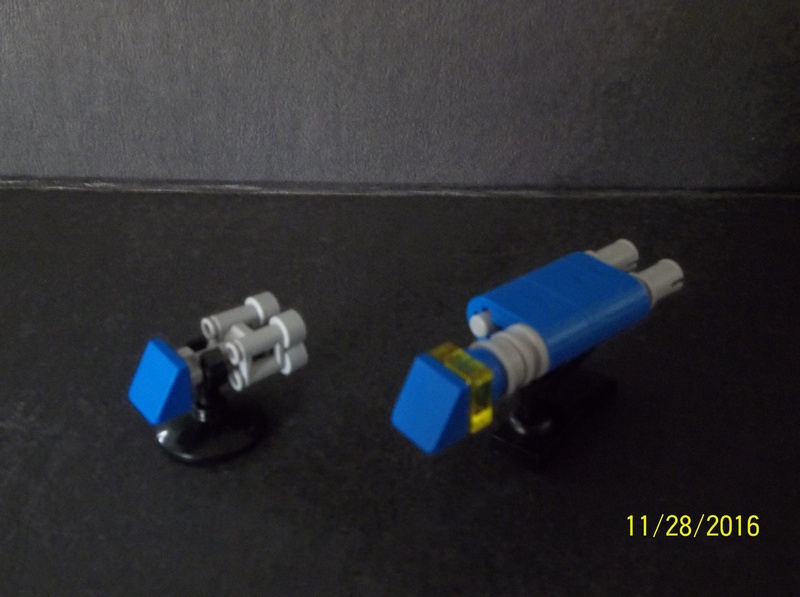 Left and right hardpoints allow the attachment of multiple weapon systems; the standard configuration shown includes a pair of medium-power lasers (right) and a pair of plasma cannon (left). Other weaponry or equipment can be substituted, up to and including heavy plasma assault cannon, or alternatively additional specialised sensor equipment or other exploration gear may be carried. It’s been a while since I made a proper Classic Space mech or walker. Owning the Exo-Suit is sort of intimidating for designing your own mechs, unless you’re one of those genius mech architects that specialise in hardsuits and walking vehicles, and I’m not. 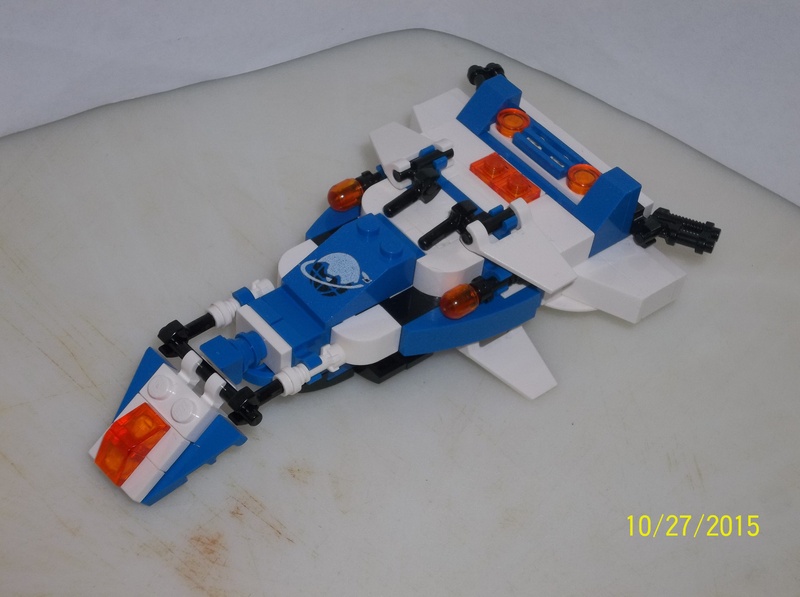 If I have a specialism, it’s probably microscale spacecraft. 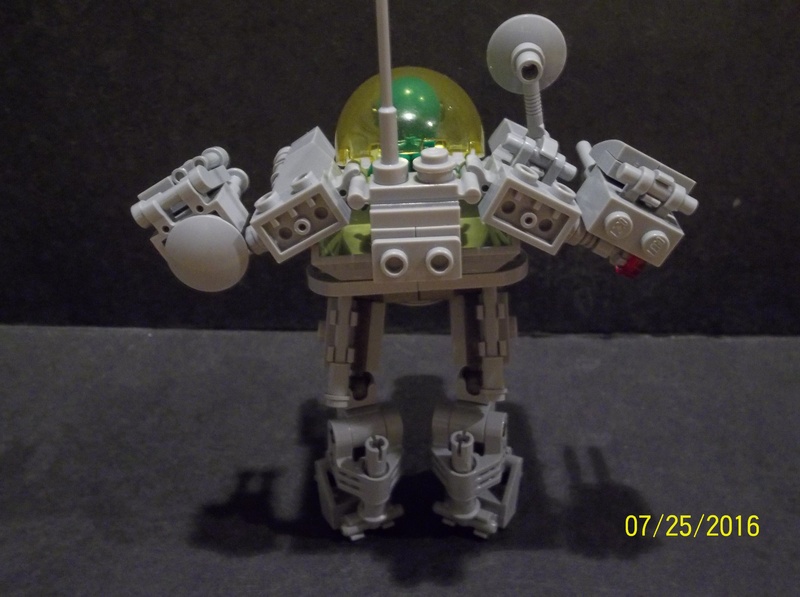 This walker was actually designed around the 4×4 dump-truck bucket that came with my son’s Juniors construction site set; the first time I think I’ve employed that piece in a MOC. That element decision determined the whole configuration of the cockpit, and thus, the walker, as I found creative ways to make an enclosed cockpit for the driver. All in all, I think this is one of the most satisfying walkers I’ve built in a while. I hope you like it! 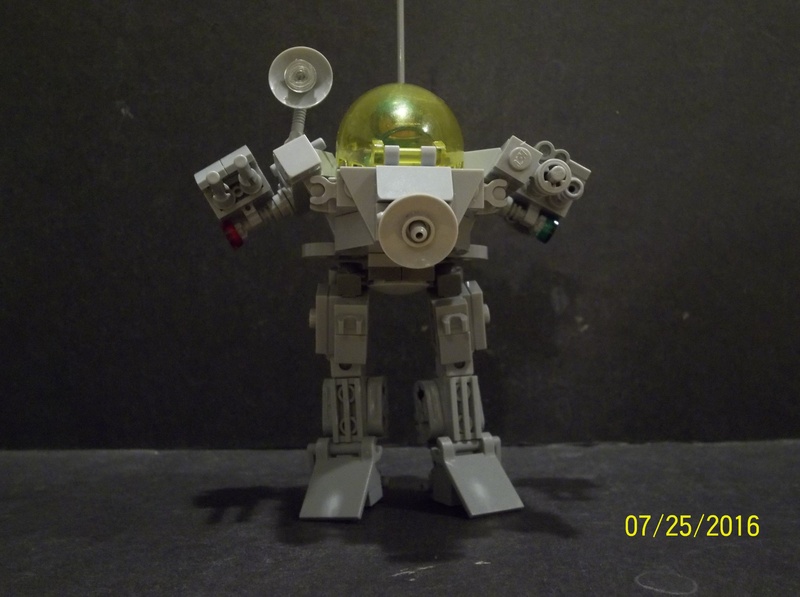 This entry was posted in Lego Classic Space, Mechs and tagged Classic Space Lego, Lego, Lego building, Mech, Space, Walker on July 26, 2016 by geoffhorswood. 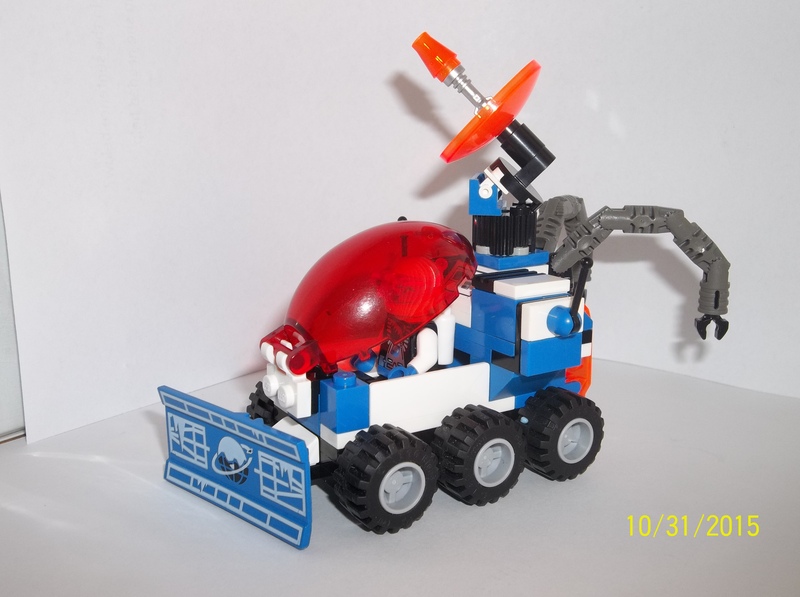 Ice Planet 2002 represented the “civilian” faction of the LEGO Space universe in 1993-1994. 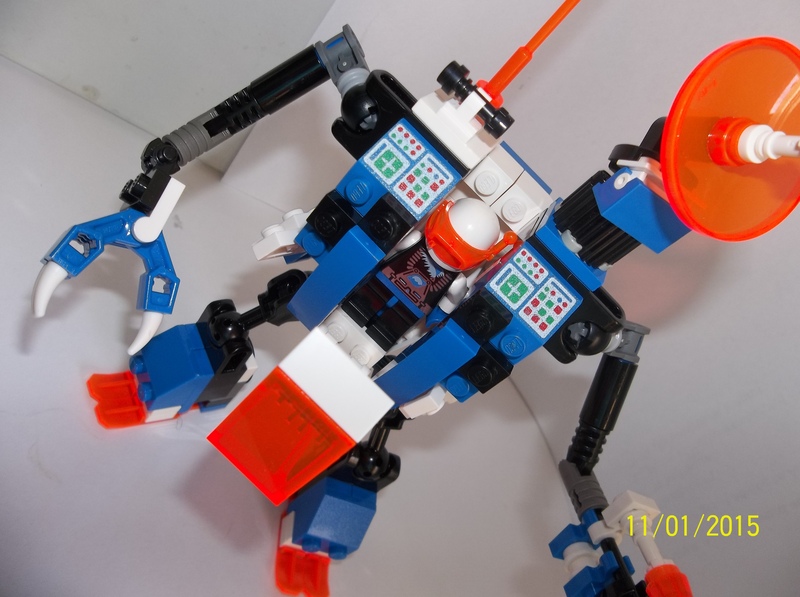 The theme is famous for having the first named minifigure – Commander Bear (named “Commander Cold” everywhere except the UK) – the first female minifigure, and an apparently controversial colour scheme featuring transparent neon orange windscreen elements. Personally, I found the neon orange a little garish at the time, but neon windshield elements were all the rage back then. The Blacktron (Second Generation) had them, the M-Tron guys had them, and the Ice Planet folks had them. And orange adds just the right note of warmth and visibility for an ice theme. Anyway, I like the Ice Planet theme, and I’ve been making some modern “Neo-Ice Planet” stuff. A lot of it’s in micro-scale, but I happen to like micros. And because trans neon orange isn’t exactly a common LEGO brick colour, I’ve followed the lead of others in going to a regular trans orange windshield colour. As part of this, I had an inspiration for why “Ice Planet 2002”: ICEPLANET is an acronym for the organisation’s name, and the “2002” refers to Commander Bear’s team. 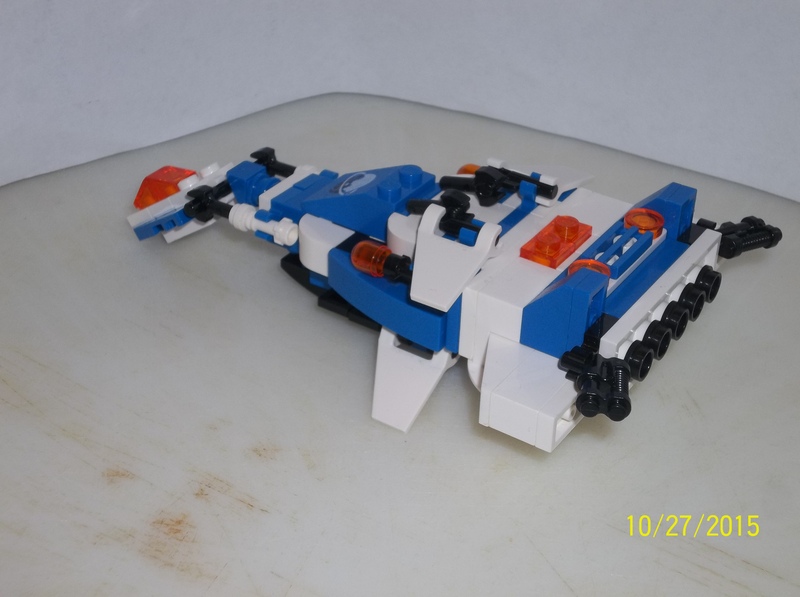 The Winterfire-class Transport is one of the main initial planetary exploration ships of the ICEPLANET organisation of the Galactic Federation. The ICEPLANET teams specialise in the exploration of cold, icy worlds in the outer parts of star systems and the mapping and extraction of resources in such frozen environments. The Winterfire-class Transport is used primarily for initial planetary exploration under the auspices of the ICEPLANET teams, and is one of only a few Federation ship types able to safely make planetfall and take off again from the sorts of frozen worlds that ICEPLANET specialise in. 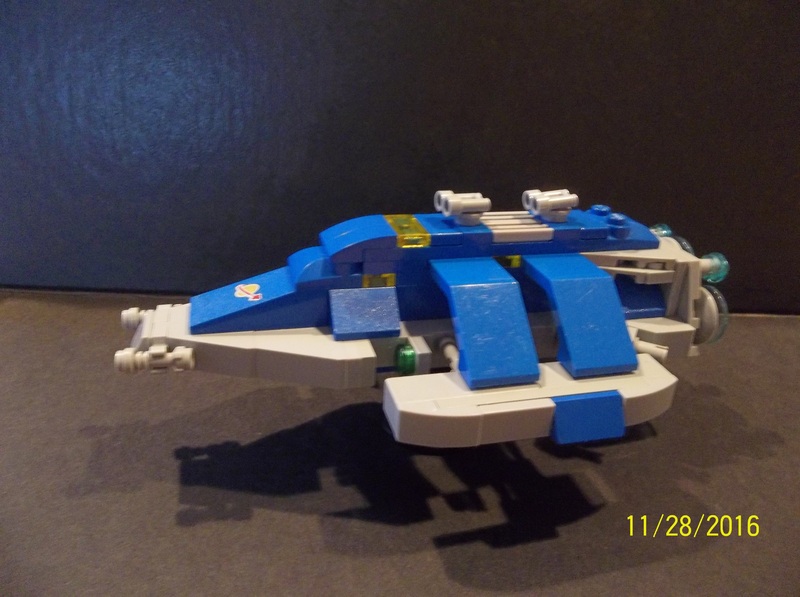 The Winterfire-class functions as a large “amphibious” transport – that is, a ship able both to enter hyperspace and to make planetary landings, and can transport a team of up to twenty-four ICEPLANET specialists plus their gear, and serve as a temporary base and headquarters. The White Baron is one of the most familiar of the several smaller ICEPLANET spaceships, due to its fame as the usual vehicle of Team 2002’s ace pilot Laurie Blizzard. Featuring tripod-style twin-ski landing-gear and a specially-designed cold-tolerant engine, the White Baron is a short-range aerospace craft for both orbital and suborbital work. It is able to take off and land almost vertically, minimising the need for specially-constructed landing strips, and is often used for aerial survey, perimeter patrol and sample-gathering missions. The official name White Baron references the archaic pre-Space Age pilot Manfred von Richthofen, sometimes called the “Red Baron”. 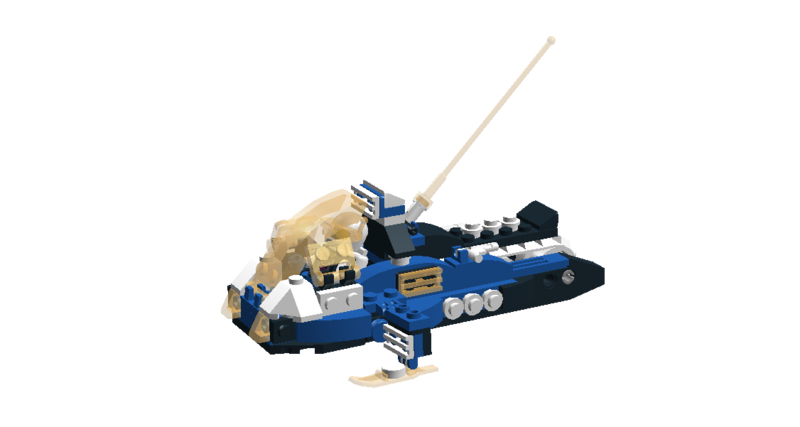 However, media reports of ICEPLANET 2002’s activities managed to confuse its name with that of its pilot, and so many of the Federation’s wider public know the vehicle as the “Blizzard Baron”. It is even beginning to be called that within the organisation. Baseline models of the White Baron are unarmed, though the vehicle has the capacity to wing-mount a pair of medium-power lasers for defence and debris elimination. 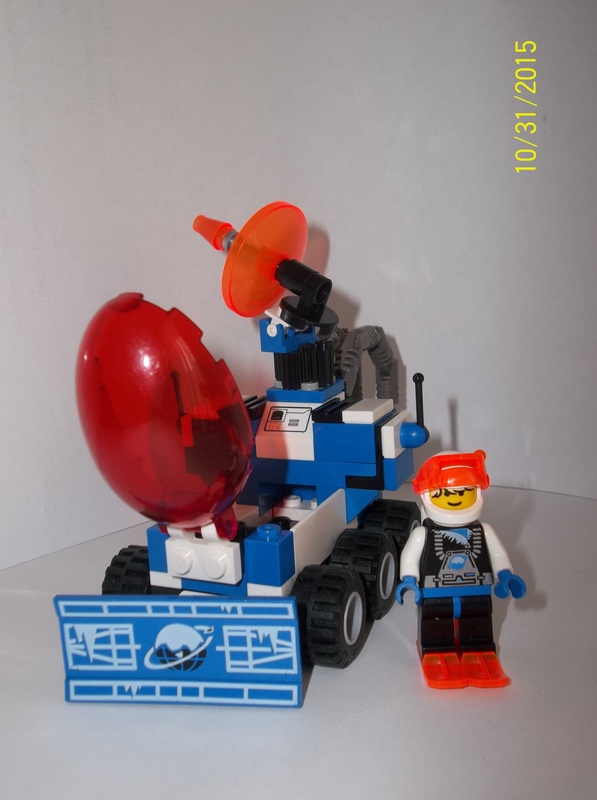 More critical to the vehicle’s success in the ICEPLANET organisation is its powerful metaradio transmitter/receiver, enabling the pilot to remain in touch with the rest of the team from half a world away even in the absence of communications satellites or atmospheric metaradio wave-reflection effects. The rear module containing this transmitter/receiver and the orbital engine can be detached to provide communications capacity and power to emergency and temporary shelters melted into the native ice. The Snow Leopard Ice Rover is one of the largest ground vehicles used by the ICEPLANET organisation, serving as a mobile temporary base camp and heavy surface transport vehicle. The vehicle is an eight-wheeler like the much smaller Ice-Sat Type V Launcher, though its eight wheels are much larger; each one approximately the height of an adult human. The Snow Leopard’s forward command cockpit incorporates large windows for visibility; the bright orange both reduces glare from the ice and makes the ICEPLANET team vehicles more visible in the harsh conditions. It includes a forward snow plough, a powerful rear winch and a large hyperspace transmitter/receiver mounted on the roof. 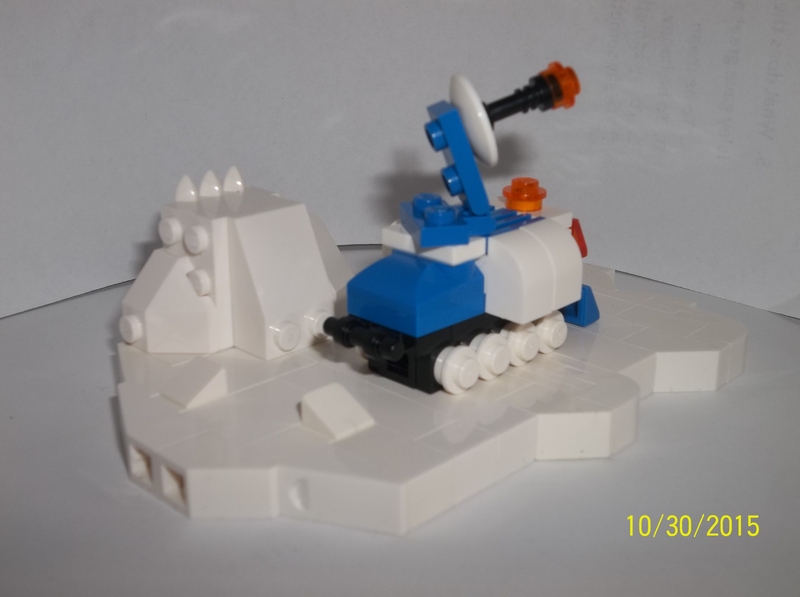 The vehicle can support a crew of six for extended missions away from the ICEPLANET main base. As with the Winterfire transport and the White Baron aerospace craft, the baseline model of the Snow Leopard is unarmed, but many Snow Leopards mount a medium-power laser on the crew section’s roof dome. 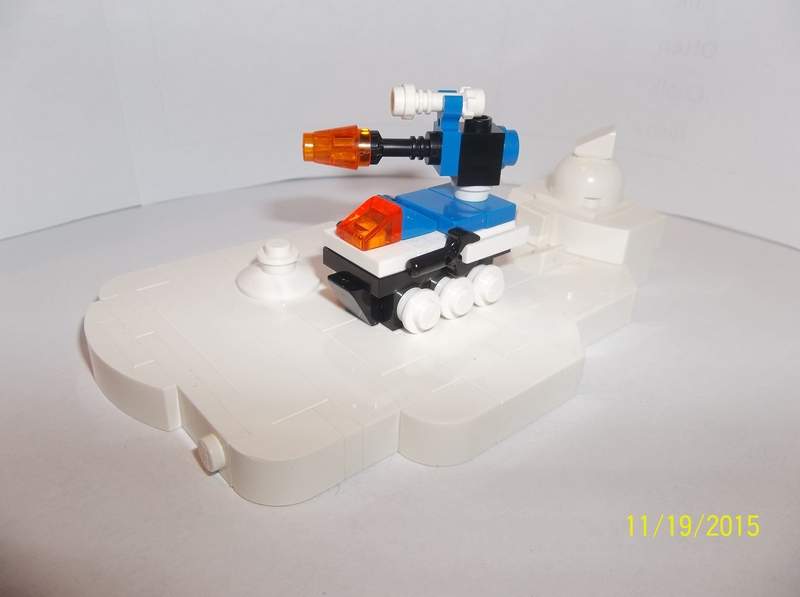 The Wolverine is a smaller ICEPLANET surface vehicle employed as a snowplough/bulldozer and general pioneer cryotic construction vehicle. Driven by a single operator, its snow-dozer blade is employed to smooth off the icy surface to create base roads and landing strips. Atop the roof, the ubiquitous ICEPLANET communications antenna enables continual contact between field operatives and Base personnel; essential in the harsh and hazardous conditions in which the ICEPLANET teams work. The Wolverine also incorporates a pair of light-duty manipulator arms in the rear of the vehicle, which are useful for handling ice or rock samples and for light cryotic-construction tasks, and can carry a pair of skis for the operator on a rear-mounted rack. The 6-wheeled Wolverine is a fairly powerful vehicle for its size, but its range is more limited than some vehicles due to its particular role. 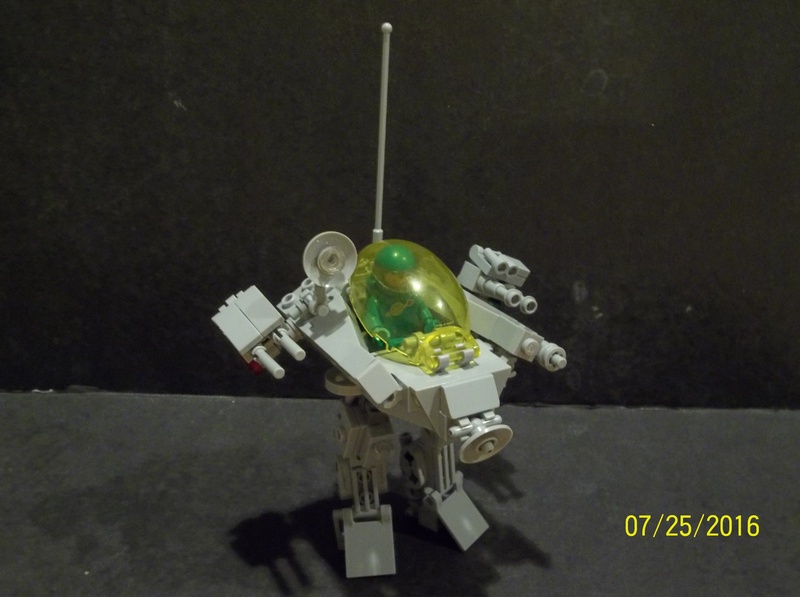 Mechs are not often used by the ICEPLANET teams. Most mech designs are either unsuited to work on ice surfaces or unable to tolerate the extreme cold in which the organisation’s teams work. At the sorts of temperatures found on the ice worlds of most outer star systems, many metals become brittle and weak, and while a wheeled or tracked vehicle is more able to cope, the stresses put on a mech usually render the vehicle types unsuitable for use in the extreme cold. The Polarizer is not most mechs, however. Specifically designed for the ICEPLANET organisation and constructed using special cold-tolerant pseudoceramic materials and insulated structural components, it is able to withstand the temperature extremes of typical ICEPLANET working conditions and the human-habitable temperatures of base interiors and workshops. The Polarizer is equipped with skis on its feet to aid in manoeuvrability on ice surfaces, and advanced mobility programming to enable the pilot to fully utilise this option. As far as upper-body equipment goes, the standard loadout is a three-fingered grasping claw on the right hand and a combination cutting laser and power ice saw on the left, though other tool mixes exist and the hand attachments are mostly interchangeable. The standard ice saw is no bigger than the ones carried by ICEPLANET field operatives, but the larger power source of the Polarizer mech makes it considerably more powerful and with greater endurance. Roof-mounted communications antennas complete the Polarizer’s integral equipment list. Some Polarizers also carry additional equipment, for example back-mounted additional fuel cells for extra range. The one weakness of the Polarizer is that its access point is narrow and the vehicle is not easy to get into and out of. Once inside, the mech is roomy and comfortable, but the access process is difficult, especially in spacegoing cold-weather gear. The Norway-class Transport is a medium-sized amphibious (i.e. 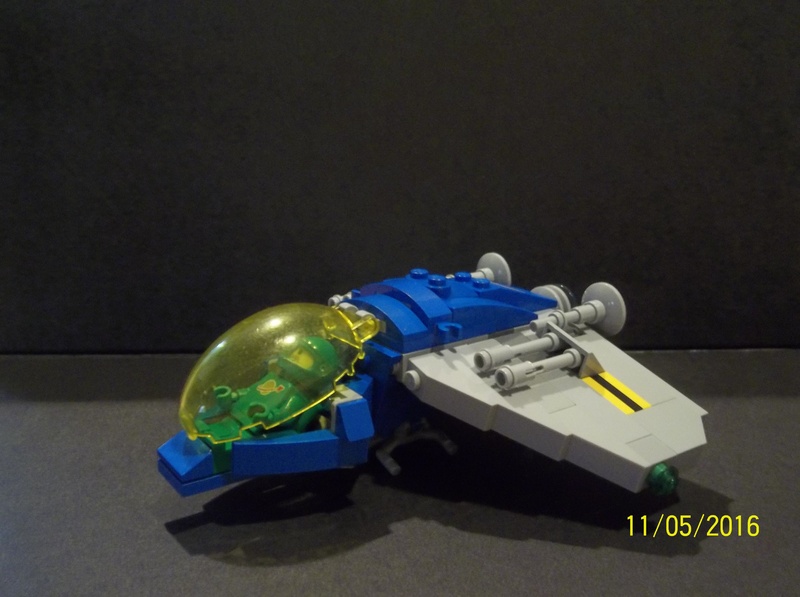 able to land on planets and enter hyperspace) space transporter used by the ICEPLANET organisation. 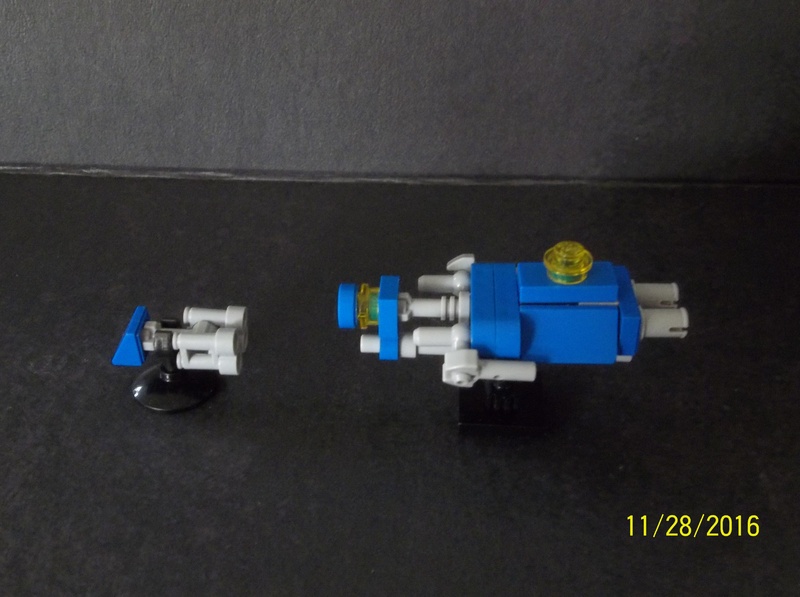 Mostly employed for the transfer of personnel and light gear, it is considerably smaller than the regular Winterfire-class transport and has a smaller cargo hold. 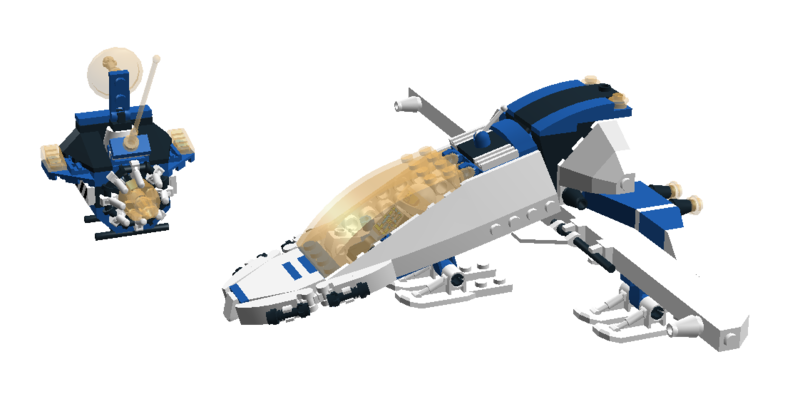 Norway, the class’ lead ship, functions as the personal transport of ICEPLANET head Commissioner Witusz Bellingshausen. Like its larger cousin, the Norway-class is not normally armed, though a laser turret can be fitted in place of the upper viewing dome toward the rear of the craft. ICEPLANETeers are not combat troops, and the extreme conditions in which they work are hazardous enough to need the individuals’ full focus without compromising their training by adding in weapons handling modules. ICEPLANET operational bases are frequently formed by tunneling, either beneath the planetary surface or into the sides of cliffs or mountains. With the ice-and-rock composition of most of the worlds on which the teams work, using controlled heat to melt away the ice is frequently one of the simplest ways of constructing large enclosed spaces, and the primary vehicle used for these operations is the YMIR. The Yttrium-Modulated Ice Regulator is a cryotic-construction vehicle using large-scale heat-projecting lamps to swiftly melt away native ices in a more controlled manner than using a laser. Powerful fans in the rear of the vehicle direct the vapour and spray from the melted ices away to the surface, preventing them from immediately refreezing behind the vehicle and trapping it. The vehicle is also readily modifiable into a tanklike heavy laser carrier. 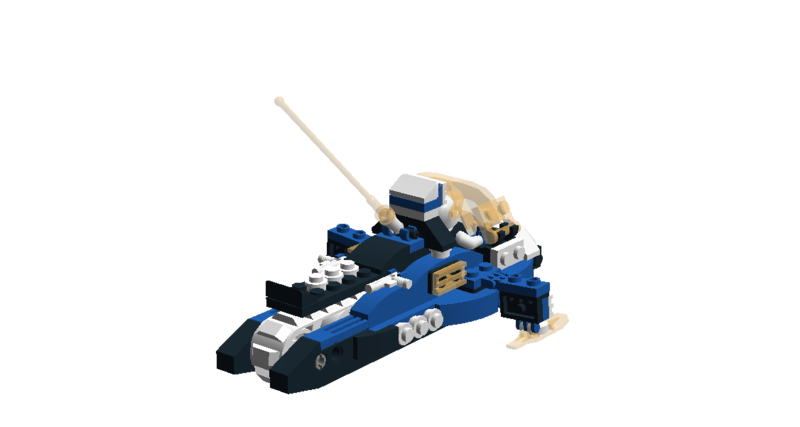 The Snowfox is an ICEPLANET updating of the ancient “skidoo” vehicle concept. 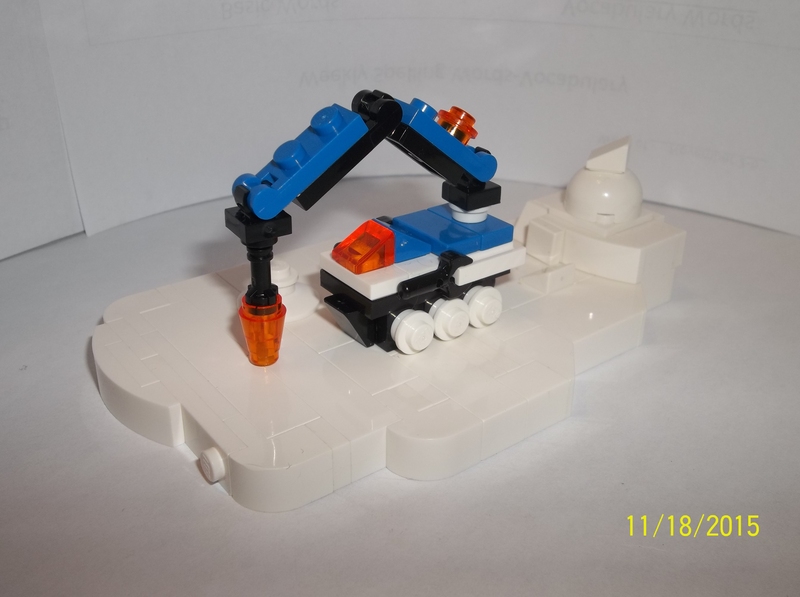 Featuring a single track mounted at the rear for traction and mobility, and twin skis mounted forward for steering, it is a manoeuvrable small vehicle for ICEPLANET surface operations. 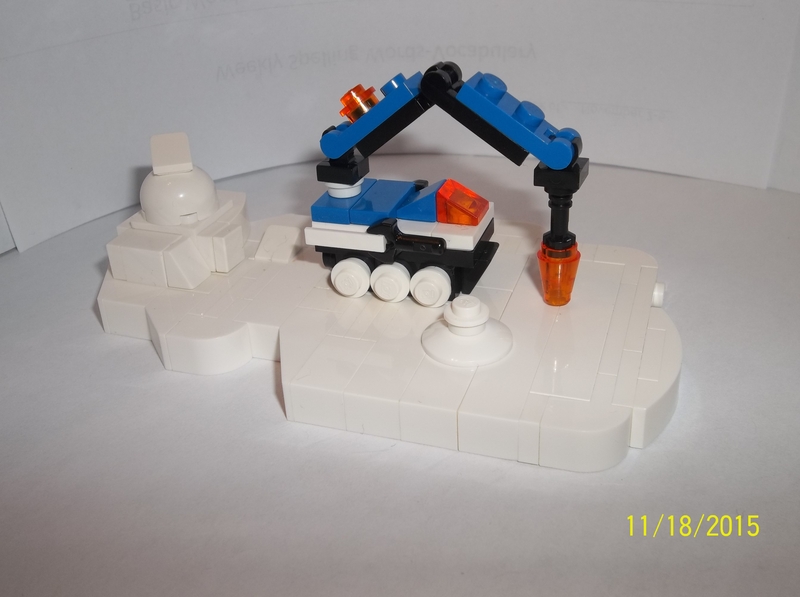 The vehicle has room for a single pilot and serves as a scout/reconnaissance vehicle for the ICEPLANET teams. 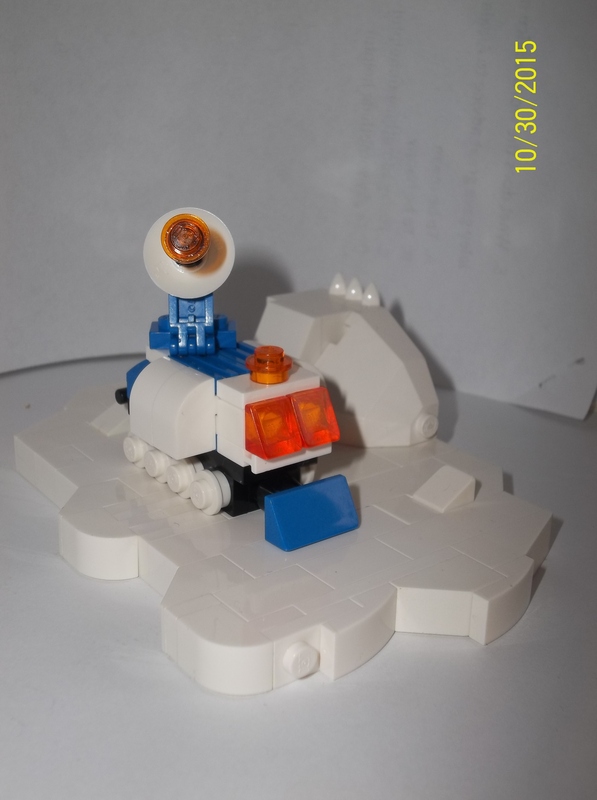 This entry was posted in Lego Classic Space and tagged Classic Space Lego, Ice Planet 2002, Lego on December 1, 2015 by geoffhorswood. 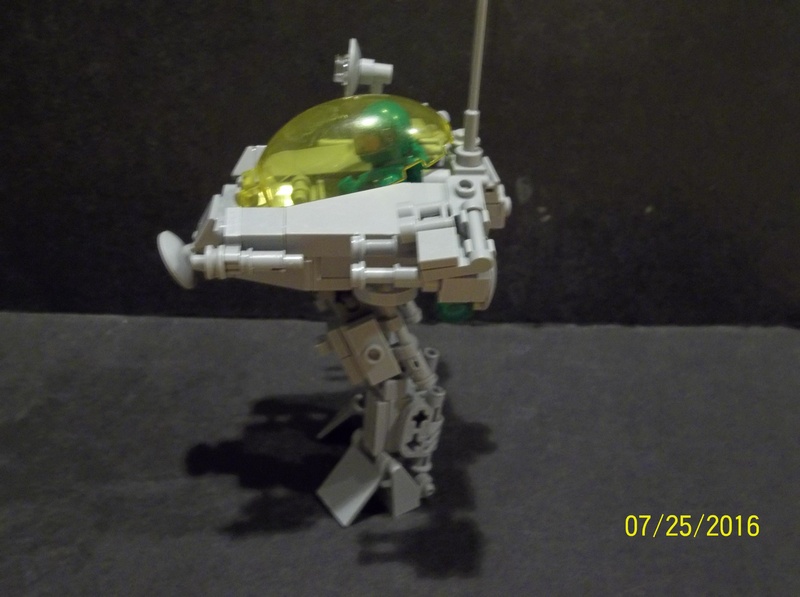 With the Shrike (see previous), I’ve achieved something I never previously thought possible: I’ve reconciled myself to the idea of the Space Police. 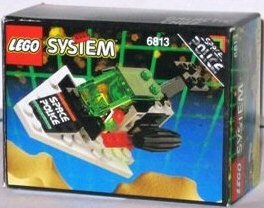 Back in 1989, I thought they were ruining my favourite LEGO Space theme. 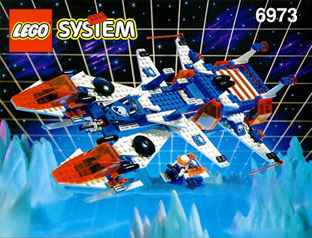 As a child, I was all about Space LEGO. I’ve mentioned in this blog before that I’m part Benny; I loved the Classic Space universe with its strange new worlds and its friendly astronauts and its moon buggies and its spaceships. I remember the introduction of the Blacktron in 1987. This was the first real “theme” as such, and they looked cool. Visibly different from the regular Space astronauts in their white ships, these guys had their own awesome triangular emblem and a black-and-yellow colour scheme. 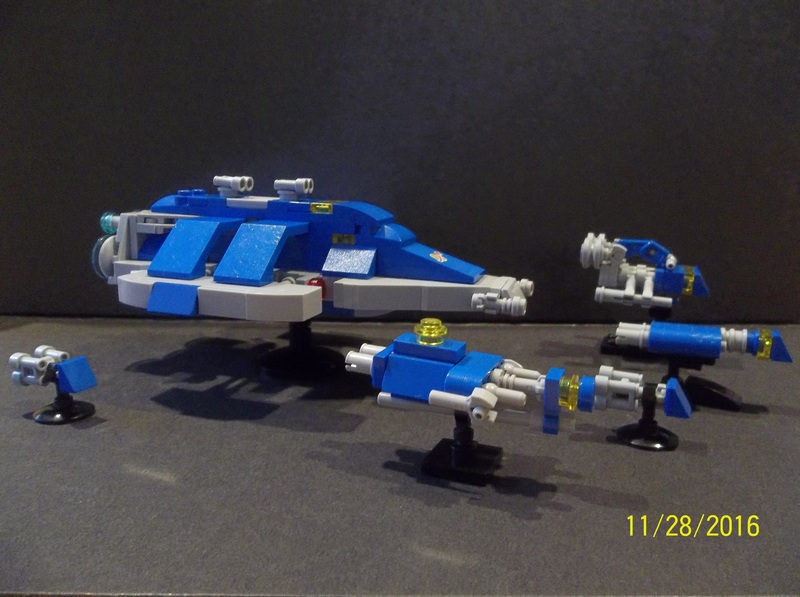 I never got any of the sets, but I loved the look of them. Ok, “Blacktron” sounded a bit childish, but they were cool. They also weren’t villains. Official promotional material showed them working alongside the regular astronauts, obviously different but not necessarily opposed. 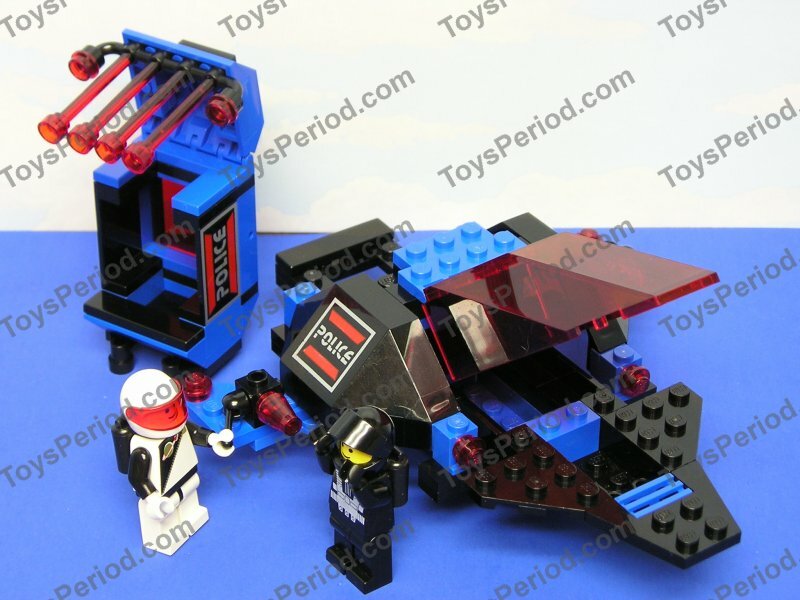 Then in 1989 the Space Police arrived and changed all that, giving LEGO its first real factional conflict and making the Blacktron officially bad guys in cells. You’re under arrest, evil Blacktron scum! At the time, I actually missed the fact that those were Blacktron astronauts in the Space Police cells. 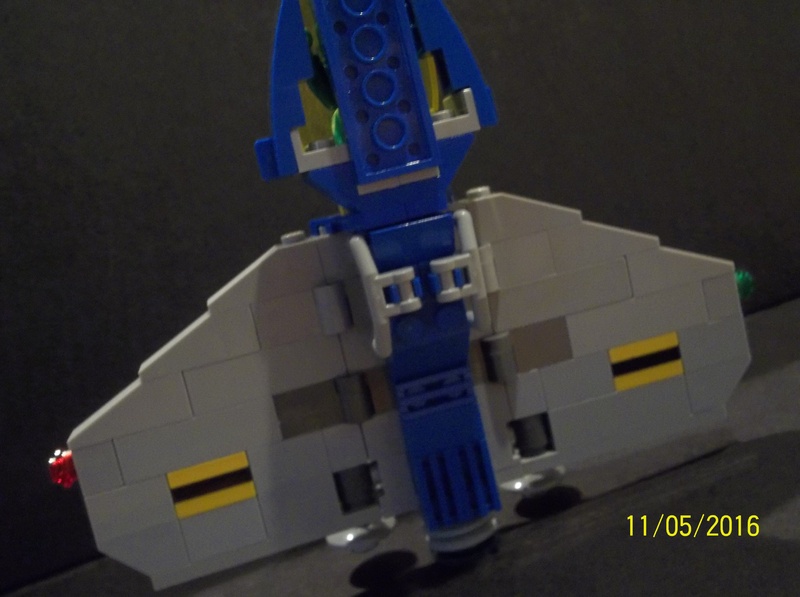 I was drifting into my personal LEGO Dark Ages, still interested in building, to tell the truth, but becoming embarrassed about it among my peers. I was paying less attention to the worlds of LEGO. And anyway, I hated the very idea of the Space Police. I wanted new worlds and exploration. If I’d wanted to play cops and robbers with my LEGO, I’d have been into Town. Space Police was ruining my favourite theme, making it into a Town clone! Or that’s what I thought, anyway. And because I went from that into my own personal Dark Ages, I’ve carried a rather silly grudge against the Space Police all this time. 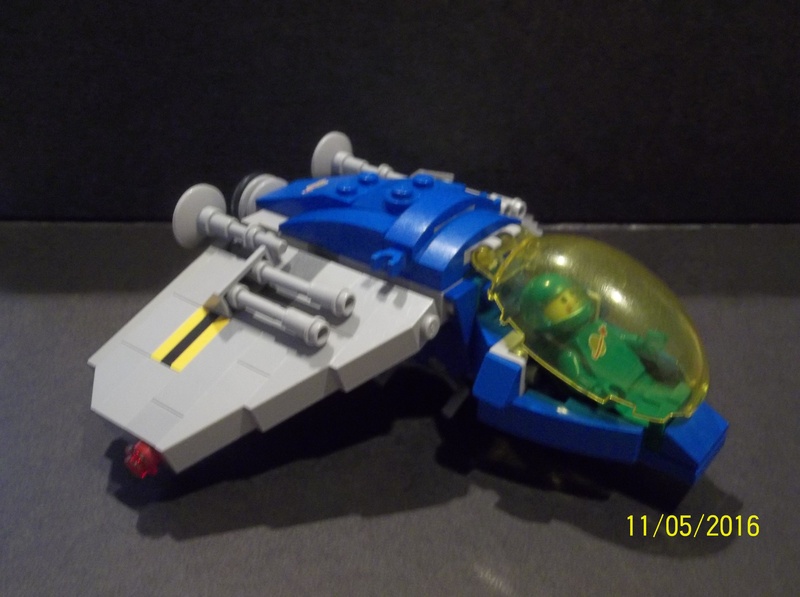 In my mind, I conflated the original Space Police with their ugly second-generation colour scheme (mostly grey with green windshields), and when I returned to LEGO as an adult and realised there had been three separate Space Police themes, I was kind of disgruntled. How could that ugly grey-and-trans-green theme spawn not one but two successors? Especially since the incredible Blacktrons only got one successor, and the excellent Ice Planet only lasted a year. 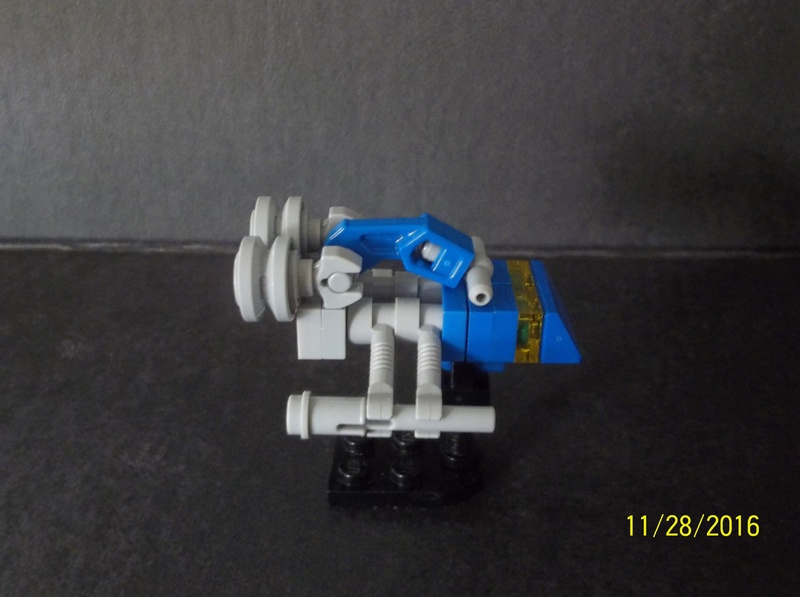 Since then, I’ve started writing stories on the LEGO.com forums. Set, of course, in my favourite Classic Space milieu, I’ve come at the whole thing with an adult’s viewpoint and an adult’s understanding of human nature. If humans are in space, they’re still going to be humans, with all of the conflicts and problems and inner darkness that entails. This was what Star Trek always got wrong. Just because you have replicator technology it’s not going to make crime go away. Someone’s still going to steal a spaceship, or rob someone else, or sue them because their targ crapped in the air recycler, or smuggle banned nanotech into a restricted zone, or cheat on their spouse, or take murderous revenge. And so if humans are in space, we are going to need a Space Police. Besides, they add a wonderful amount of background colour and help to convey the idea that this is a galactic civilisation, not just a small band of explorers. There are going to be hairdressers and doctors and paramedics (maybe they should do a Space Rescue line?) and artists and lawyers and news reporters and, yes, police. Someone has to kick danger in the teeth for the sake of justice. This is an inherently good thing, a noble calling to the cause of righteousness. It’s something I can get behind with a light heart. So I’ve decided I quite like the Space Police after all. 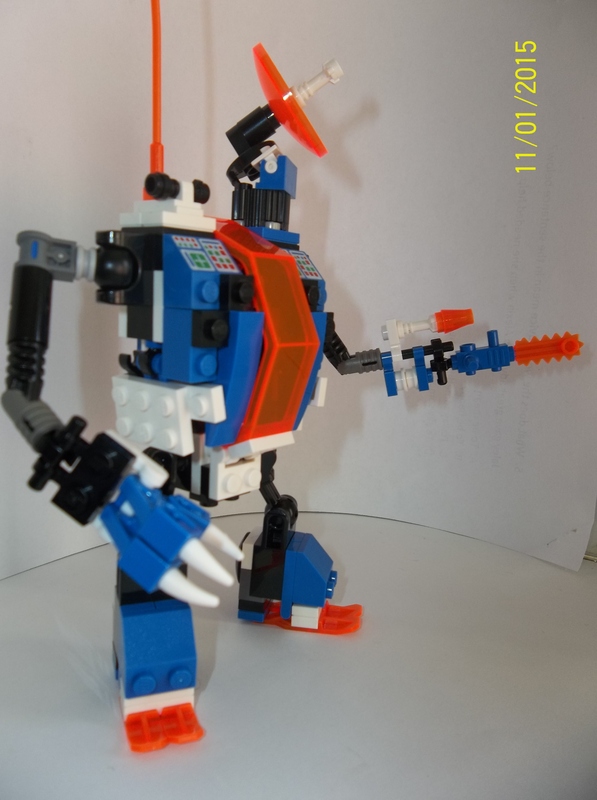 The Space Police II colour scheme wasn’t great, but the LEGO Group screwed up the Blacktron’s colours in that time period, too, and I still like the Blacktron. But the black/blue/trans red of the originals is actually pretty cool. So I’ve been making some more Space Police hardware. The little one I’m calling the Vindicator; it’s designed as a sort of orbital motorcycle cop equivalent. 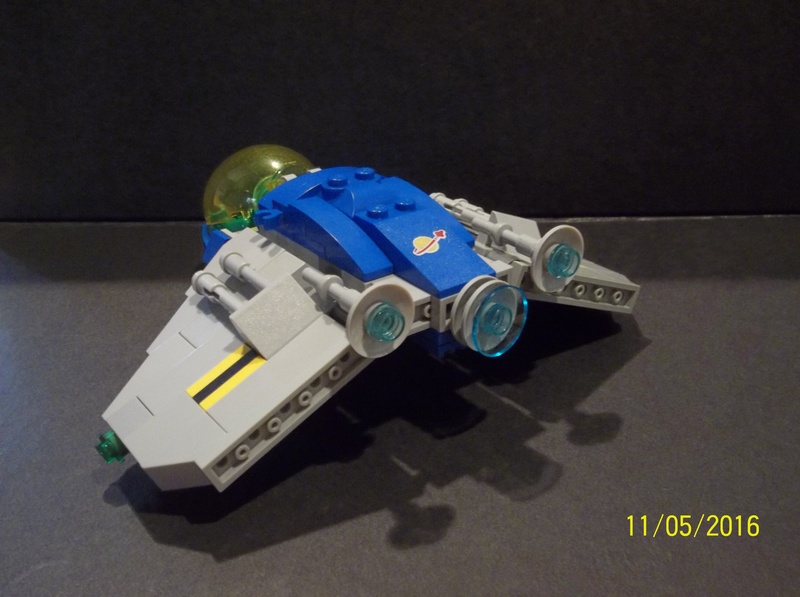 An extremely agile little spaceship able to manoeuvre around ponderous giant freighters in pursuit of a bad guy in the crowded spacelanes of a major world. 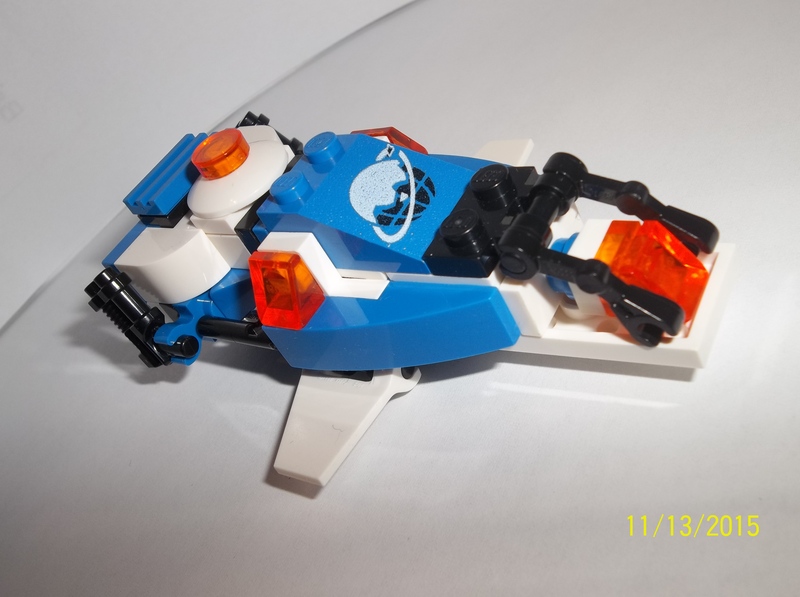 Ok, it looks more like a helicopter, but the inspiration was police motorbike. 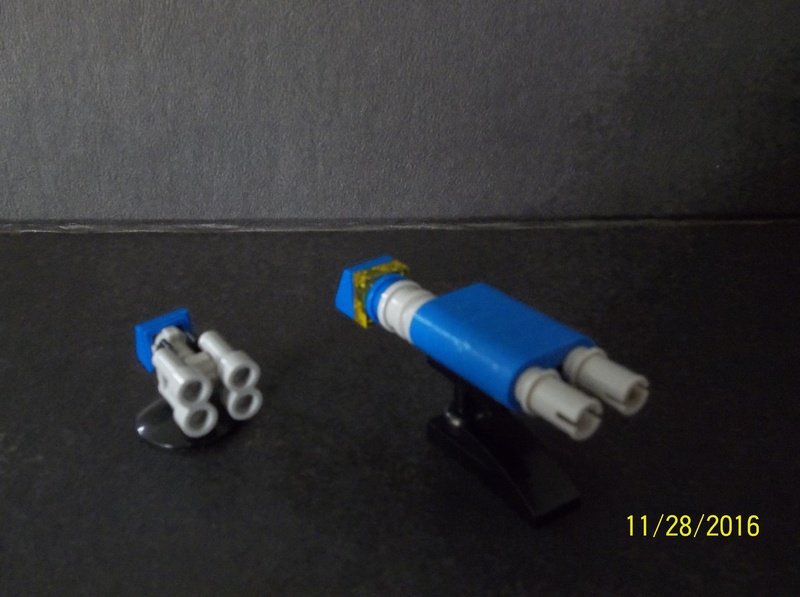 The big one is the Peacemaker-class Cruiser. 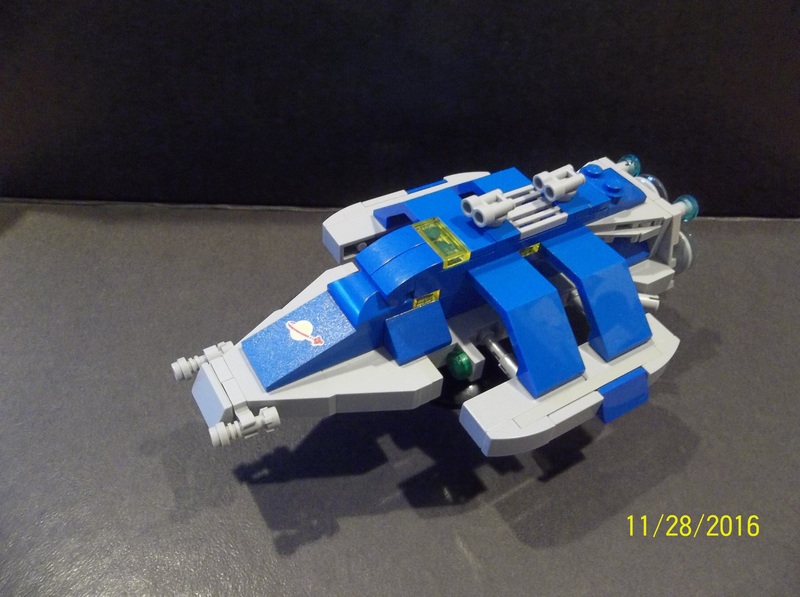 I consider it possibly my best spaceship yet; it’ll get its own post on this blog. 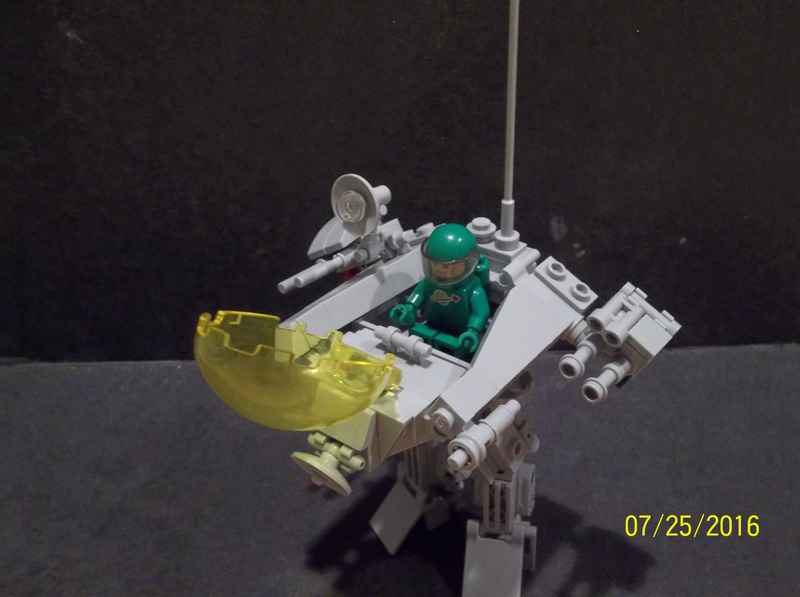 And the Space Police version of the Shrike Pursuit Ship you saw last time. Now all I need is a regular patrol-car kind of ship. And maybe some land vehicles. 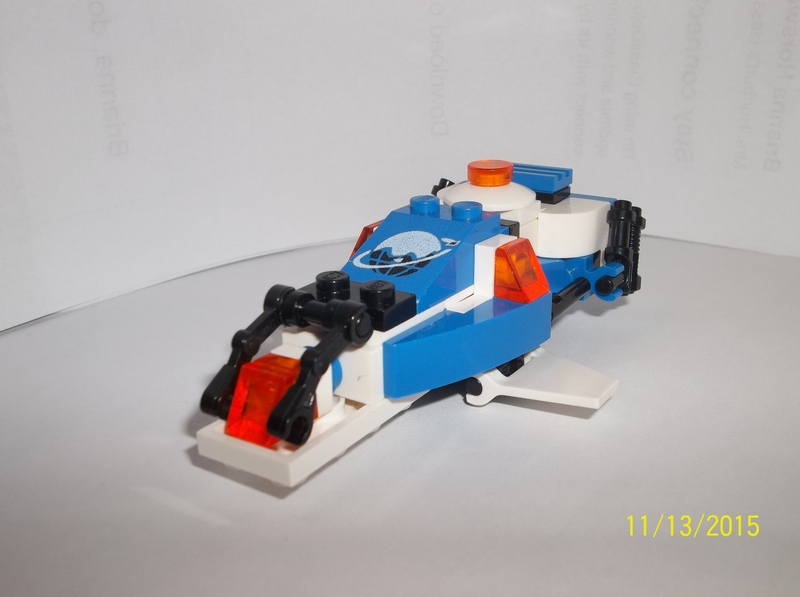 This entry was posted in Lego Classic Space, LEGO Space Police and tagged Classic Space Lego, Lego building, Lego Digital Designer, Space Police on October 29, 2015 by geoffhorswood. 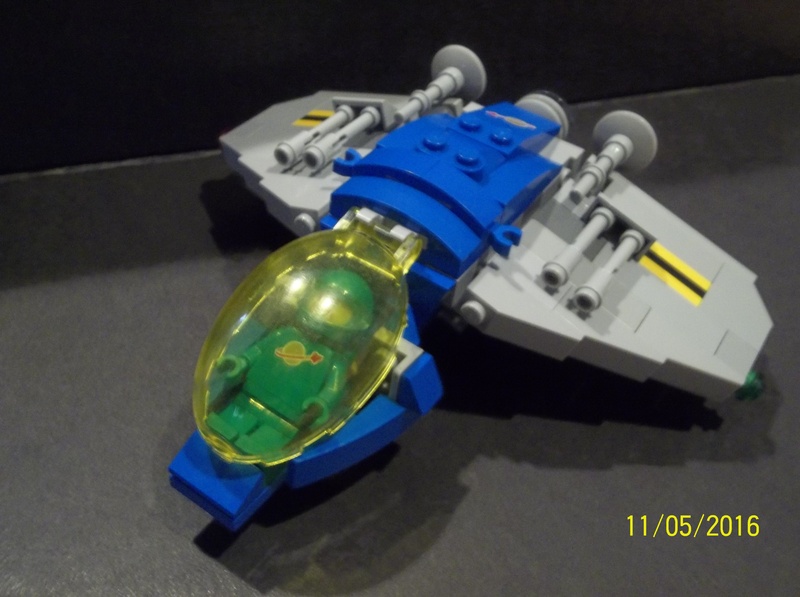 Introducing the Shrike-class Interceptor. 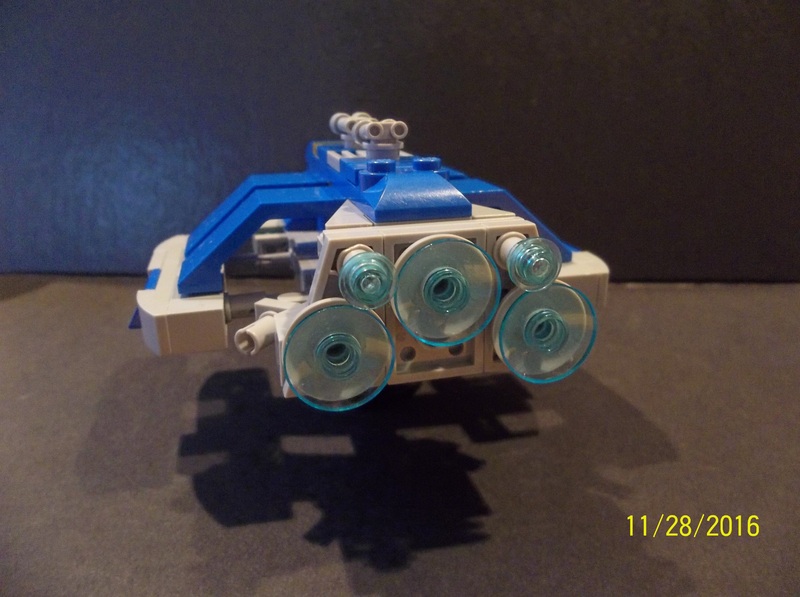 As what may be a first for me, I’m posting it here first before I show it on LEGO.com. The Shrike is a two-seater high-performance spacecraft of the Federation, used by both Space Fleet and the Space Police. Its distinctive angled, semicircular wing configuration makes it fairly recogniseable, and whether they are dealing with the Fleet version or the Police version, enemies of the Federation find it one of the most formidable small- to medium-sized ships in space. Two powerful engines drive the ship through space at high velocities, and though its agility is merely respectable, the Shrike’s high burst speed and capability of high sustained speeds (due to its high-capacity fuel tank) make it an excellent pursuit craft. Indeed, the Space Police typically refer to Shrikes simply as “Pursuit Ships”. The Federation bureaucracy is not always very imaginative when it comes to the naming of ships, and the Shrike-class is one of the worst offenders. Its official designation is the bureaucratically bland “Two-Man Fast Orbiter”, though even on official Federal documentation it is typically known by its common name of “Shrike-class Interceptor”. The vessel is armed with a pair of powerful beam lasers (occasional refits may use proton cannons) in the downward-angled wing sections. The standard laser armament is powerful enough to deal with most threats, whether Blacktron strike craft or large rogue asteroids. High-powered particle screens prevent impact damage from micrometeorite strikes and other small space debris; these are stronger than on most ships this size and add to the craft’s high velocity envelope. The cockpit seats two crewmembers in relative comfort; a plus for the extended patrols and pursuits sometimes flown by the Space Police. The seats are staggered, with the forward crewmember seated lower than the rear crewmember. This allows both pilots excellent visibility, and allows the ship to be effectively piloted from either position. Behind the cockpit section, the Shrike includes a small cargo area accessed via a dorsal hatch. Though too small for a prisoner without constituting Cruel and Unusual Punishment, it can be used to stow a variety of mission gear or tools and supplies. The Shrike‘s main drawback is that the high-performance nature of the craft requires frequent maintenance, making the craft unsuitable for exploration missions beyond the limits of proper Fleet and Police basing. This ship is something of a personal milestone for me. Up to this point I’ve never really liked or got into the Space Police. I remember them from my youth as the guys that more or less ended LEGO Space as I knew it. As a kid, I wanted interstellar (or at the very least interplanetary) adventures on distant worlds, seeking out new life and new civilisations, not some kind of galactic law enforcement. If you wanted to play police, that’s what Town was for. Bringing in Space Police seemed like it was taking everything I loved about the Space theme and junking it to make it more like Town. Also, it was with the advent of the Space Police that the awesome first-generation Blacktron fleet went from intriguing second human presence in space to cookie-cutter bad guy. I liked them “different but not necessarily opposed”. It’s taken me until now to get over that initial rejection of the idea of Space Police, but apparently I’m over it now to the point where I’m willing to make a Space Police model, even if it’s just a recoloured version of the Classic Space one. And it looks so handsome in that blue-and-black livery with its transparent red windows that I might just make some more Space Police stuff. 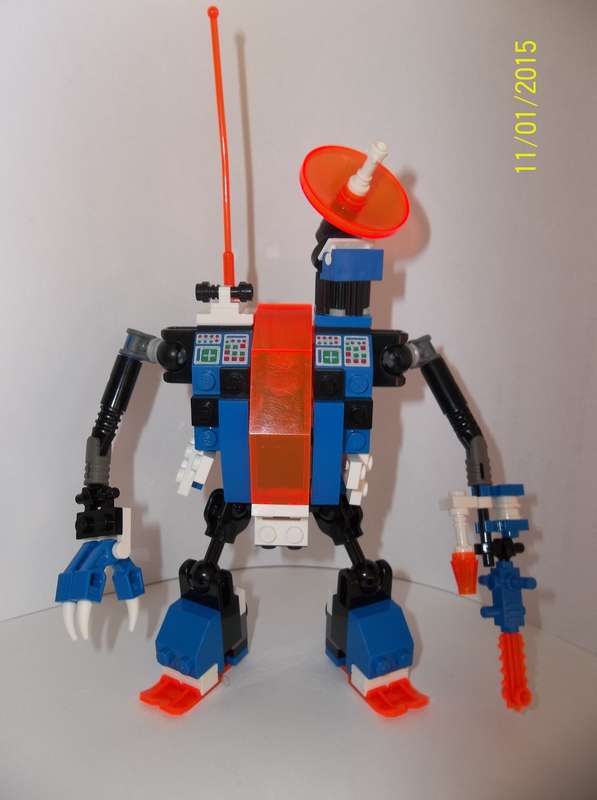 This entry was posted in Lego Classic Space and tagged Classic Space Lego, Lego Digital Designer, Lego Space Police, Neoclassic Space on October 3, 2015 by geoffhorswood.